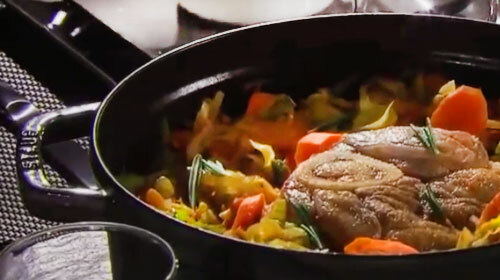 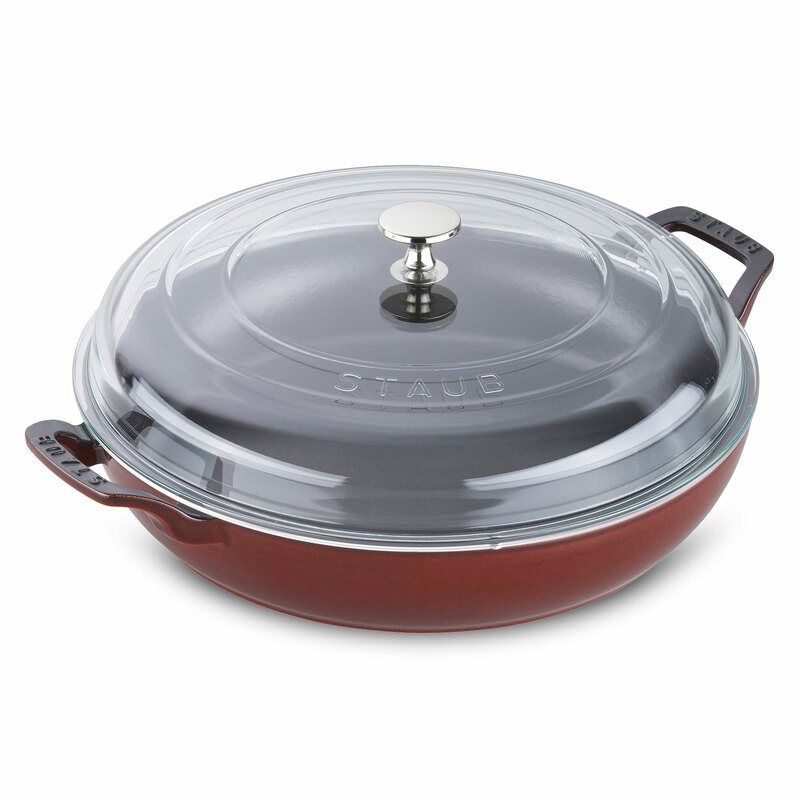 The Staub Cast Iron Braiser is the perfect pot for one-dish suppers, braised lamb shanks, and breakfast hash. The heavyweight, domed glass lid locks in moisture and accommodates large cuts of meat. 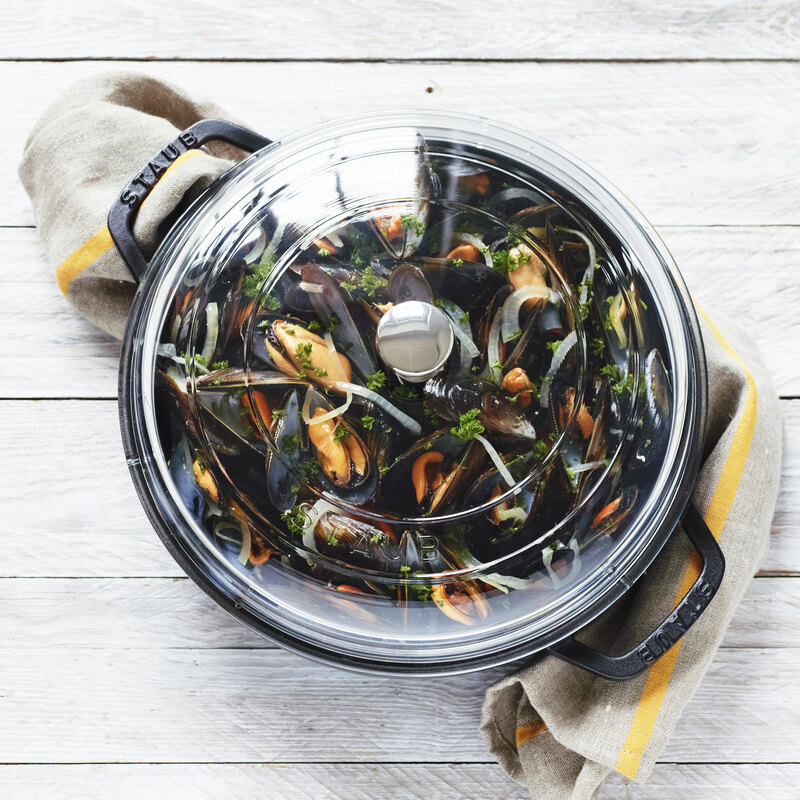 Home chefs can easily monitor cooking without removing the lid, ensuring flavors get sealed within each dish. 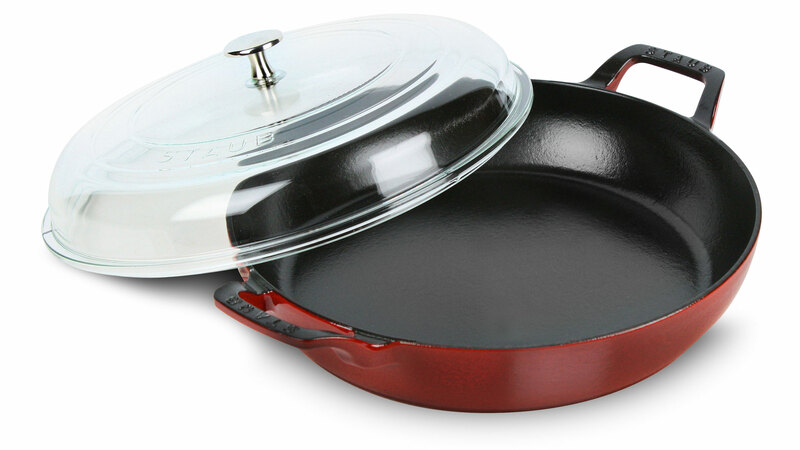 The durable cast iron construction boasts even heating and excellent heat retention. 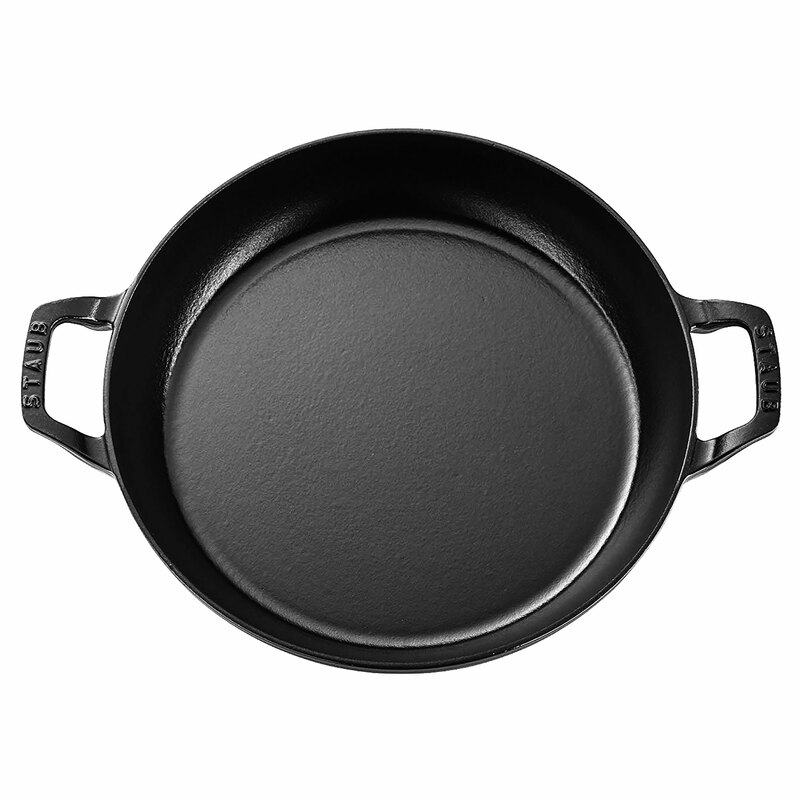 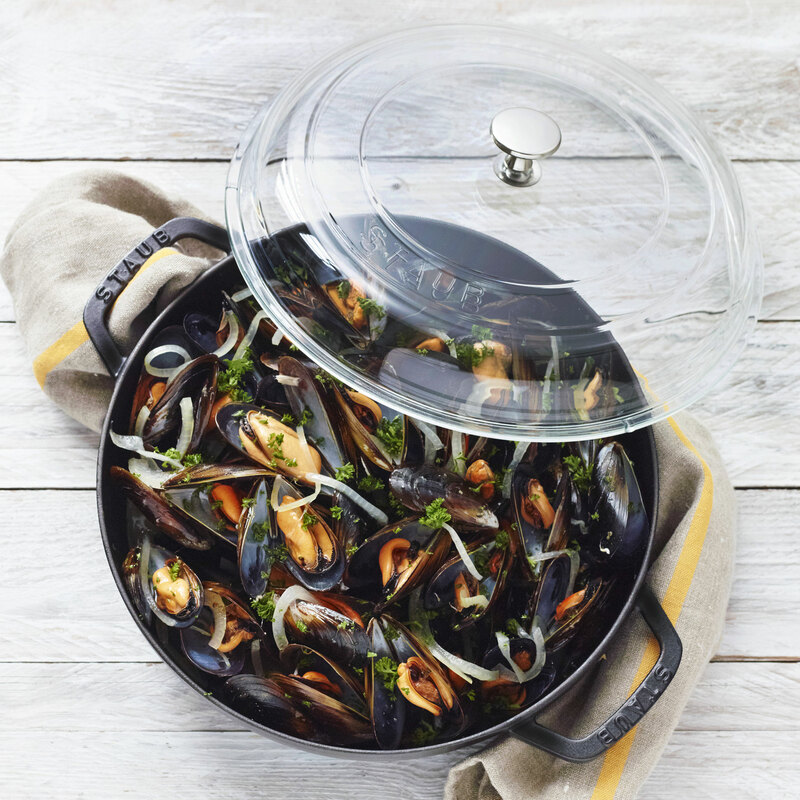 Staub's signature matte black enamel interior provides perfect browning for flavor enhanced food. 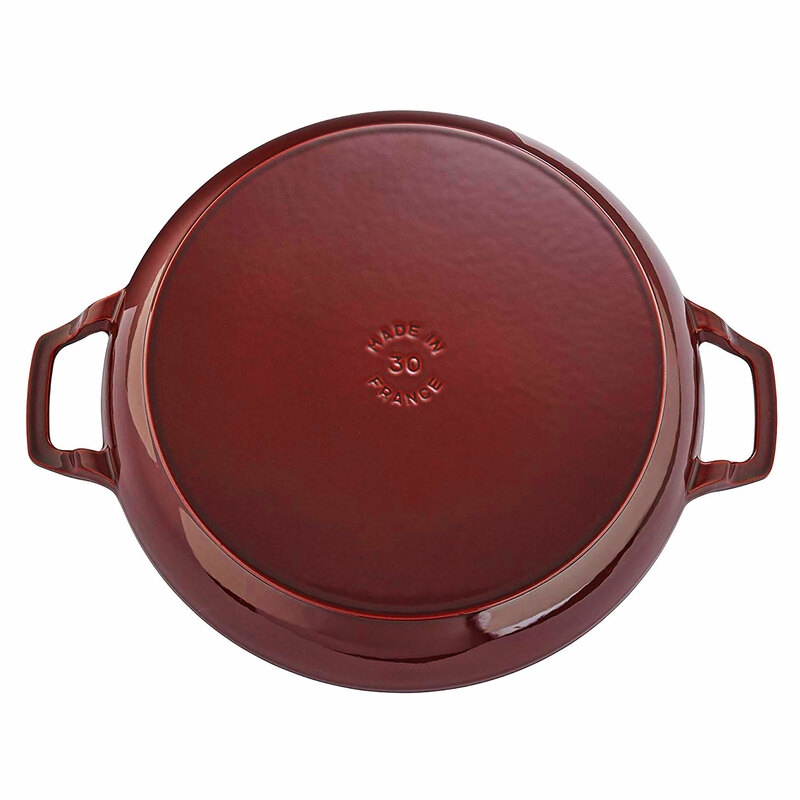 Thanks to its exquisite enamel exterior, this iconic piece beautifully transitions from the oven to the table. 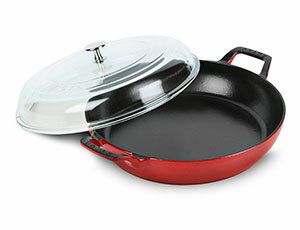 The braiser's unique design features vintage-look handles that encourage easy maneuvering while wearing oven mitts.